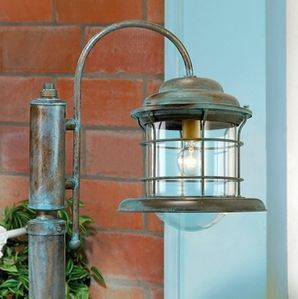 Outdoor Lighting is a great way to light up your home and to add a sense of rustic style from the first impression. Choose from a variety of more traditional outdoor lighting, post mounts, and stained glass lighting. Or select from our rustic outdoor lighting, which features many themes including bears, western, trees, distressed and many other lodge style offerings. All of our outdoor lighting is U.L. approved for wet locations. Since 1988, LodgeCraft has been the preferred source for homeowners and commercial developers alike, when it comes to rustic outdoor lighting.